What's old becomes new again...literally. Dustin Page and Aaron Parrish of Platinum Dirt launched their line of custom made men's and women's VIN Jackets in 2010. Created from reclaimed vintage auto upholstery from old Cadillacs, Lincolns, BMW, Mercedes, Jaguar and others. 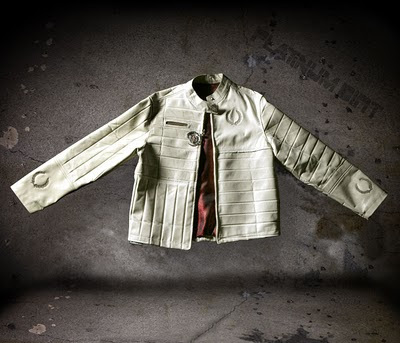 From their website: "One car becomes one jacket, a soul of sorts, where once the car is retired from the road forever, it is reincarnated as a VIN Jacket. Each jacket tells its own rich history and exudes its own character". With each new jacket, vintage style becomes a modern masterpiece.